The Human Toll Of The War 'To End All Wars' Historian Adam Hochschild traces the patriotic fervor that catapulted Great Britain into war during the summer of 1914 — as well as the small, but determined British pacifist movement — in his historical narrative To End All Wars: A Story of Loyalty and Rebellion, 1914-1918. The human cost of World War I was enormous. More than 9 million soldiers and an estimated 12 million civilians died in the four-year-long conflict, which also left 21 million military men wounded. Hochschild traces the patriotic fervor that catapulted Great Britain into war during the summer of 1914 — as well as the small, but determined British pacifist movement — in his historical narrative To End All Wars: A Story of Loyalty and Rebellion, 1914-1918. The book frames the Great War not as a struggle between nations but as a struggle between individual people — sometimes even family members — who supported and opposed the war. One family that split: the Pankhursts, who had been some of the most militant supporters of the British suffragist movement before the war began. Emmeline Pankhurst, the family's matriarch, was arrested on the war's eve for cutting telegraph wires, putting bombs in mailboxes — and even throwing a rock at the British prime minister's residence. "However, the moment the war began ... she called a halt to all of her political activities and she and her daughter Christabel put themselves at the service of the British government for the duration of the war ... [who used them] to rally women for the war effort." But Emmeline's other daughter, Sylvia — also a militant suffragist — came out strongly against the war and stopped speaking to her sister, says Hochschild. "She published the leading anti-war periodical of that period, repeatedly spoke against the war, supported conscientious objectors and prisoners and published some of the most important pieces of anti-war testimony from people in the army," he says. Hochschild also profiles siblings John French and Charlotte Despard. She co-founded the Women's Peace Crusade and was an ardent proponent of anti-war organizations. Her brother, meanwhile, was the commander in chief on the Western Front. "Interestingly they remained fond of each other and saw each other a number of times during the war," he says. "They stopped speaking only when, in 1918, the British government sent him to Ireland to suppress the nationalist revolt breaking out against British rule. She went to Ireland to work for the IRA. At that point, they stopped speaking." 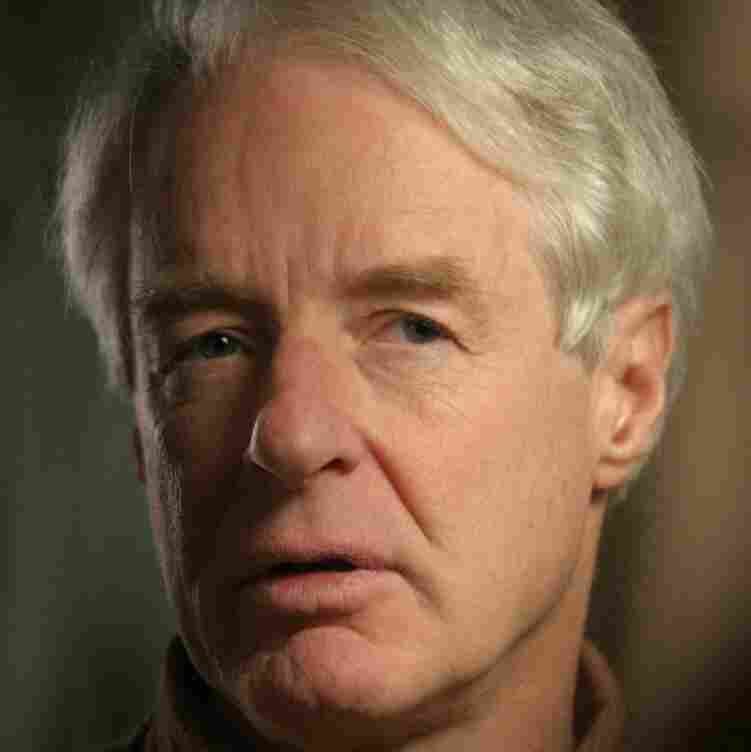 Adam Hochschild is the author of seven books, including King Leopold's Ghost and Bury the Chains. He teaches at the graduate school of journalism at the University of California, Berkeley. Hochschild also writes about the huge propaganda campaign in Britain to engage the civilian population. The government published posters and calendars denouncing the Germans and recruited famous authors — including James Barry, Arthur Conan Doyle, and H.G. Wells — to mention patriotic themes in their works. "And unknown to the public, the government had deals with publishers where they would agree to buy in advance of a book and pamphlet that was judged to be sufficiently patriotic," he says. "The public just thought they were being published as normal." They also made films after the Battle of the Somme in 1916, when England suffered over 120,000 casualties. The British government released a propaganda film called Battle of the Somme, which Hochschild describes as "one of the earliest and most influential propaganda films of all time." "It was estimated that it was seen by more than half the population in the British Isles," he says. The film was designed to be graphic to make the public closely identify with the British soldiers. 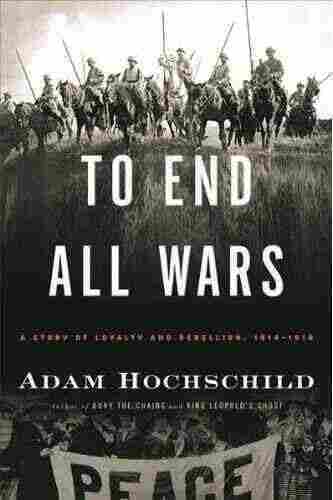 "This to me shows one of the terrible things that happens in all wars," says Hochschild. "As the suffering mounts ... there is a powerful need among people at home, among their families, to feel like [the soldiers] are suffering and dying for something worthwhile. And therefore, in a way, showing graphic images of suffering does not usually turn people against a war. In fact, usually it doesn't." "If you look at the conflicts our country has been involved with in recent years — Vietnam, Afghanistan, Iraq — it's the poor who have done most of the dying. And usually throughout history, elites are very good at getting somebody else to do the dying for them. But in the first world war it was different. It was different because it was the tradition in most of the major countries for upper-class young men to have military careers, and then it became those young captains and lieutenants who led their men out of the trenches and into a hail of machine gun fire. ... 31 percent of the men who graduated Oxford in 1913 were killed. ... The prime minister of England lost a son. The German chancellor lost a son." "One problem is that the water table in most of Western Europe, at least where the fighting was, is fairly close to the surface of the ground. So this meant that a lot of the time, the soldiers on each side were literally knee-deep in mud. So they rigged up pumps to try to pump the water out of the trenches, but they were hopeless, especially when it rained. There was an enormous profusion of rats. There was the dreaded trench foot where if you go in wet socks and leggings week after week, your feet begin to wither and rot. And it was a matter of essentially living underground — not a pleasant place to live." "The agents have the same mindset [as modern agents.] Scotland Yard, the FBI — when they're putting these dissidents under surveillance, they are always imagining strict hierarchies with a leader and other people who are following his commands. Whereas these resistance movements tend to be anarchic and unorganized and its hard to tell who is in charge." "During the first world war, there were more than 300 British soldiers who were executed for desertion ... which is considerably more people — several times the number — of German soldiers who were executed for similar offenses during the war. The Germans became far more draconian during World War II. There has been a long battle in recent decades for getting posthumous pardons for these men and it has become a proxy battle about how the war itself is to be remembered."